Right Price Distributors Corp is well known as the country’s leading distributor of GreenCross home products. They are also the exclusive distributor of GreenCross products in Region III. They had their day tour team-building in Clearwater Resort and Country Club last December 17, 2018. 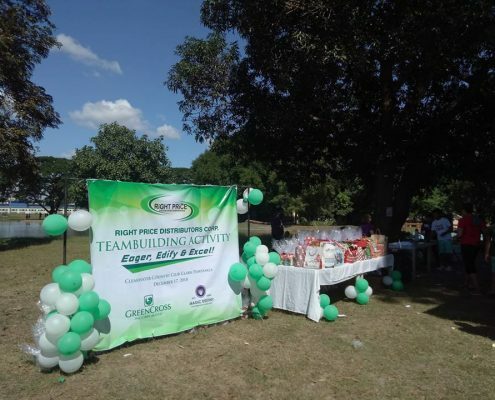 It was participated by almost 150 employees of the company from their admin, executive and sales department. Their slogan “Eager, Edify, Excel” aims to instill the sense of teamwork among their employees by understanding each other’s strengths, weaknesses and interests. 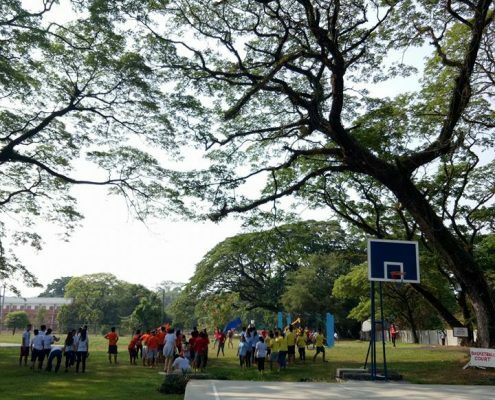 The Peninsula, one of the outdoor venues offered by the hotel, served as their venue for their games and team-building activities. The Peninsula offers a variety of facilities frequently used in team-building exercises. It is adjacent to the Family Cove Swimming pool and offers a sense of privacy to big groups like Right Price Distributors Corp. The venue can also be incorporated with other adjacent venues like the Amphitheater and the Frolic Garden to cater to a larger group. The Peninsula is also highly recommended for company outings, school picnics, awarding ceremonies, wedding receptions, alfresco dinner or socials and even baptismal events. Panoramic view of the lake of Clearwater Resort can also be enjoyed by the participants as well as access to Family Cove pool. The Department of Interior and Local Government – Liga ng mga Barangay is one of the union of local authorities in the Philippines. 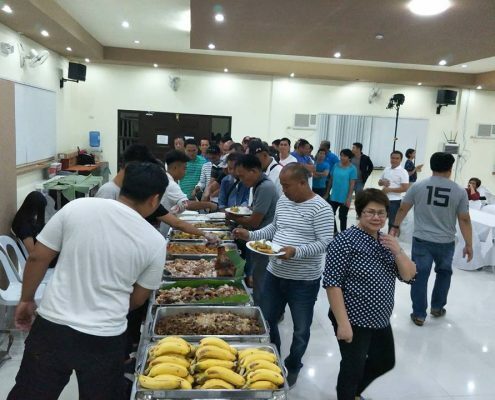 They are the formal organizations of all Barangay Captains in all the Barangays in the Philippines. 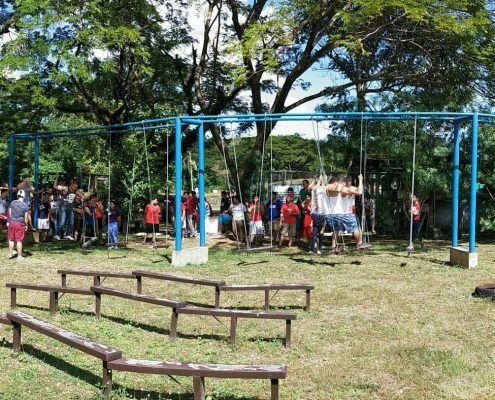 This league was established to give priority to programs designed for the total development of the barangays in consonance with the policies, projects, and programs of the national government. 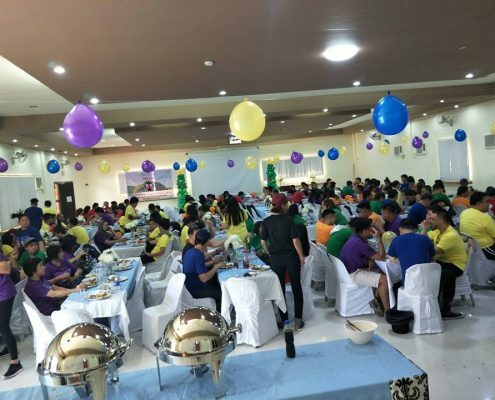 The Liga ng mga Barangay ng Pampanga held their annual Christmas Party in Clearwater Resort Clark Pampanga last December 16-17, 2018 attended by 60 participants. 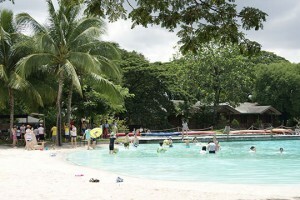 The newly built Discovery Hall of the resort served as their venue for their activity. The event went on very smoothly with their properly coordinated programme and well organized activities. For those indoor events like seminars, meetings and workshops that require a function room, Discovery Hall is the perfect venue. It is located at the Discovery Cove Area of the resort, just a few steps from the main entrance of Clearwater Resort. This venue is very ideal for big corporate groups and also for social functions especially weddings and birthdays. It can comfortably accommodate 150 pax up to 300 pax depending on the required seating arrangement or set-up. For overnight events, the patio cottages, lakehouse cabins, executive villa, deluxe family room and lakeside lodges are the highly suggested accommodations because of the short distance from the Discovery Hall. Where do Manila residents take a short break to relax and unwind? The answer is Clark. Located just 90 minutes north of Manila and just a pleasant drive up along North Expressway, Pampanga’s Clark Freeport has become a popular destination for not just a getaway but also for family bonding and other gatherings. 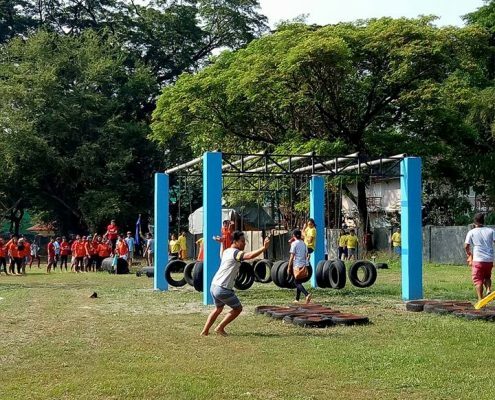 In fact, many companies in Manila have started to notice the advantages of holding their teambuilding events and outings in Clark. The short and – more importantly – safe journey makes Clark an ideal destination for day-tour events also. Clark offers not only traditional hotels but also resorts that offer natural outdoor facilities that an accommodate small to very large groups. Meatball in marinara Sauce with Parmesan Cheese on a bed of Spaghetti. Classic Italian Penne served with basil, olive oil and parmesan. Crispy bacon bits and button mushroom in a rich cream sauce. 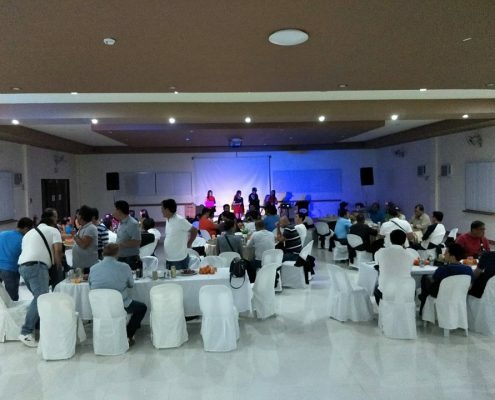 MAN Automotive Concessionaires Corporation Business Planning at Brunello Function Hall ClearWater Resort Clark Freeport Pampanga! MAN Automotive Concessionaires Corporation (MACC) is the exclusive Philippine Distributor and after sales provider of MAN trucks and buses which is one of the worldwide leaders in commercial vehicles and a pioneer in diesel engine technology. MACC has represented MAN trucks in the Philippines since 1989, initially concentrating on supplying MAN trucks and buses to leading public transport companies. Later, MACC introduced MAN trucks to local markets, serving premium quality heavy duty trucks to haulers and construction companies. 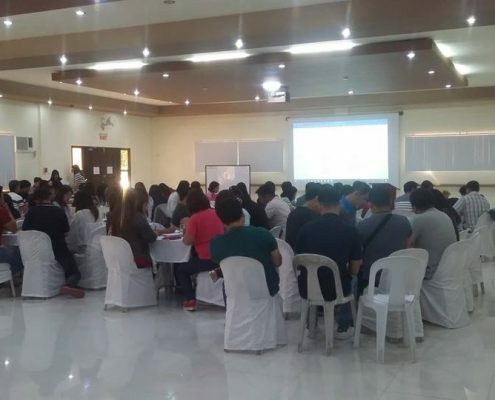 They had their Business Planning for the year 2019 in Clearwater Resort Clark Pampanga last December 15-16, 2018. It was attened by around 40 participants including admin personnels and managers. MACC conduct annual planning session to determine their commercial enterprise’s objectives, strategies and projected actions in order to promote the business and increase revenue. 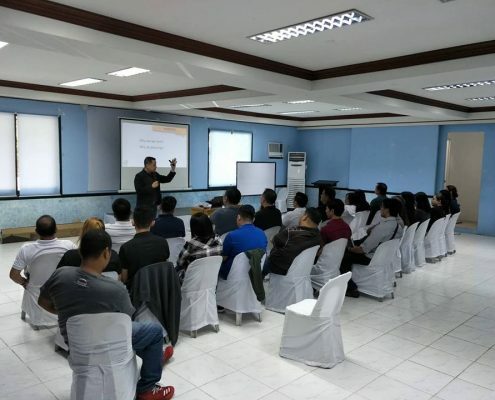 The Brunello Function Room, an indoor and fully air-conditioned conference room served as their venue for their business planning. 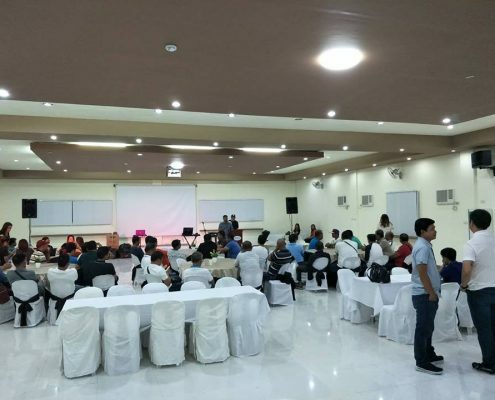 It is located at the Brunello Gardens and is very ideal for seminars, meetings, banquets and can accommodate up to 80-120 pax depending on the required seating arrangement or set-up. 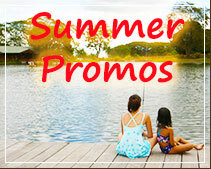 http://www.clearwaterphilippines.com/resort/wp-content/uploads/2016/11/Clearwater-Logo-WBG.png 0 0 clearwater http://www.clearwaterphilippines.com/resort/wp-content/uploads/2016/11/Clearwater-Logo-WBG.png clearwater2018-12-19 08:59:022018-12-19 08:59:02MAN Automotive Concessionaires Corporation Business Planning at Brunello Function Hall ClearWater Resort Clark Freeport Pampanga! 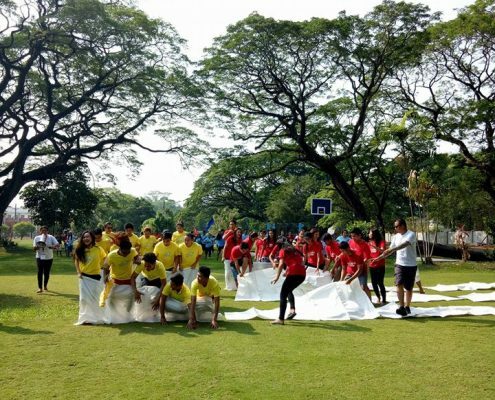 DPWH Region III Team Building at ClearWater Resort Pampanga! Department of Public Works and Highways (DPWH), is the executive department of the Government solely vested with the mandate to be the “State’s engineering and construction arm”, and as such, it is tasked to maintain an engineering and construction arm and continuously develop its technology, for the purpose of ensuring the safety of all infrastructure facilities and securing for all public works and highways the highest efficiency and the most appropriate quality in construction. 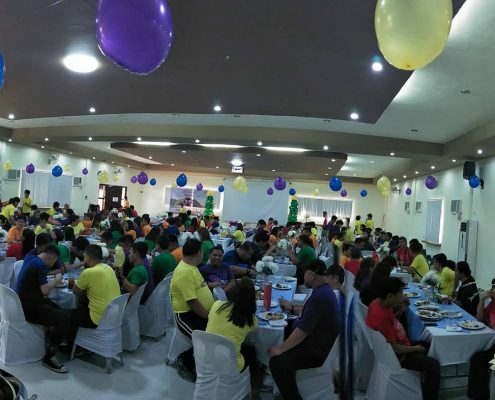 The DPWH Region III Central Office in San Fernando, Pampanga, recently held their teambuilding activity in Clearwater Resort Clark Pampanga last December 7-8, 2018 attended by 235 participants. They simultaneously held their activity along with their Christmas Party. The newly built Discovery Hall of the resort served as their venue for their activity. The event went on very smoothly with their properly coordinated programme and well organized activities. After the whole day teambuilding, they also had the chance to experience the relaxing feel and ambiance of the hotel as they enjoyed their free time late in the afternoon. For those indoor events like seminars, meetings and workshops that require a function room, Discovery Hall is the perfect venue. It is located at the Discovery Cove Area of the resort, just a few steps from the main entrance of Clearwater Resort. This venue is very ideal for big corporate groups and also for social functions especially weddings and birthdays. It can comfortably accommodate 150 pax up to 300 pax depending on the required seating arrangement or set-up. http://www.clearwaterphilippines.com/resort/wp-content/uploads/2016/11/Clearwater-Logo-WBG.png 0 0 clearwater http://www.clearwaterphilippines.com/resort/wp-content/uploads/2016/11/Clearwater-Logo-WBG.png clearwater2018-12-19 08:53:112018-12-19 08:53:11DPWH Region III Team Building at ClearWater Resort Pampanga! 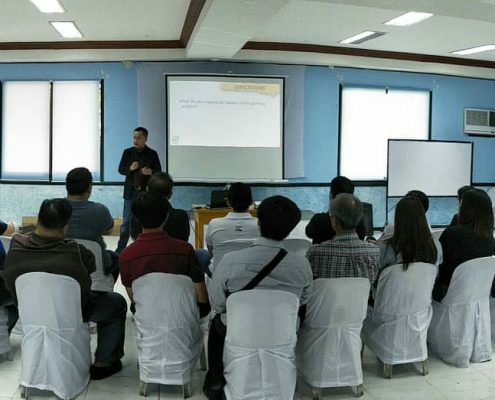 Department of Education Mabalacat Division held a Summit at ClearWater Resort Pampanga! 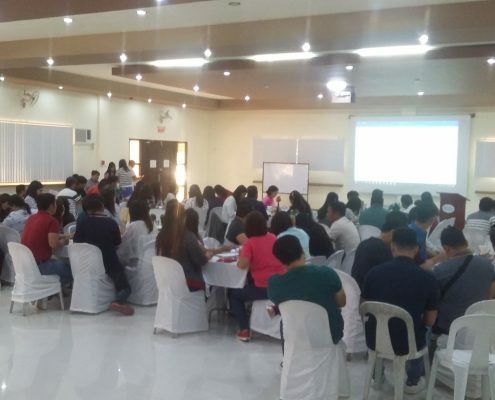 Department of Education – Division of Mabalacat City convened key education leaders, policy makers and other stakeholders in their recent Summit held in Clearwater Resort Clark Pampanga last December 3-4, 2018. The summit was organized as a platform to discuss how new policies, plans and strategies could be developed or strengthened. DEPED regularly holds this kind of summits and forums to improve the education system here in the Philippines. http://www.clearwaterphilippines.com/resort/wp-content/uploads/2016/11/Clearwater-Logo-WBG.png 0 0 clearwater http://www.clearwaterphilippines.com/resort/wp-content/uploads/2016/11/Clearwater-Logo-WBG.png clearwater2018-12-18 22:35:152018-12-18 22:35:15Department of Education Mabalacat Division held a Summit at ClearWater Resort Pampanga! The United Evangelical Church of the Philippines (UECP), is a union of Presybyterian, United Brethren in Christ and Congregationalist denominations along with the United Church of Manila. 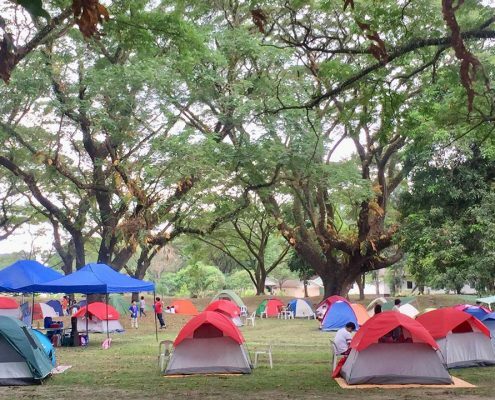 Last November 30-December 1, 2018, they had their “father and son” camping event attended by their church members in Manila. As regular campers appreciate the solitude and tranquility of a remote camping ground since camping is regarded as a great way to get away from the busy city, camping is also a great way to form stronger connections with family members. 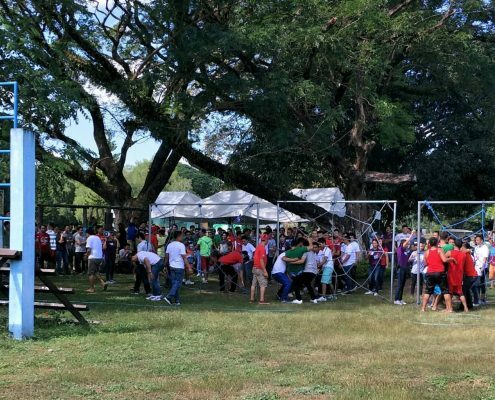 This is the objective of UECP when they organized this event and they chose Clearwater Resort Clark Pampanga as the perfect venue for this camping event. Most people nowadays spend all day looking at their phone screens, highly facinated with whatever the internet has to offer. 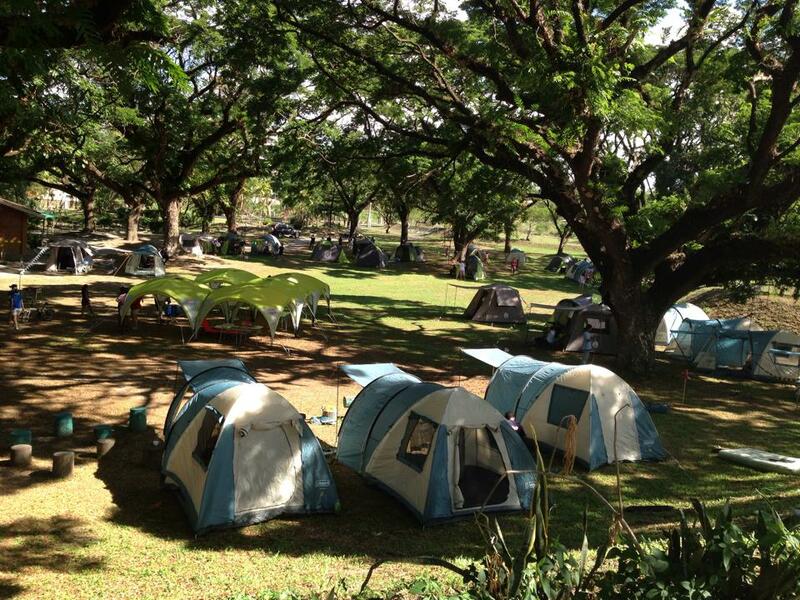 The organizers of the event believed that in camping, you turn everything off and just enjoy each other’s company. It is indeed a refreshing feeling. They wanted the kids to value communication, cooperation and appreciate nature. The Brunello Gardens of the resort served as their venue where they pitch in their tents, played games, and cooked their own meals. The hotels’s Brunello Gardens is the most versatile outdoor venue as it is used for corporate teambuildings, group campings, concerts, weddings and big social events. 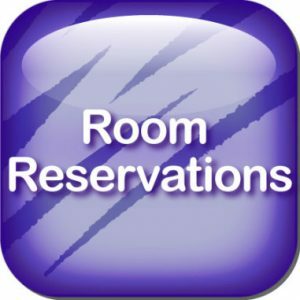 It is also one of the largest venues of the resort capable of accommodating 1000 to over 3000 participants. Participants feel relaxed in a stress-free environment allowing them to unwind while appreciating nature in a garden setting. http://www.clearwaterphilippines.com/resort/wp-content/uploads/2016/11/Clearwater-Logo-WBG.png 0 0 clearwater http://www.clearwaterphilippines.com/resort/wp-content/uploads/2016/11/Clearwater-Logo-WBG.png clearwater2018-12-12 03:49:572018-12-12 03:49:57The United Evangelical Church of the Philippines "Father and Son Camping Day"